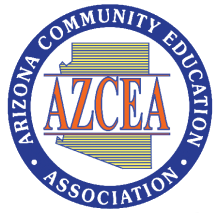 We are now located in the Community Education building at 7071 W. Hillcrest Boulevard, Glendale, AZ 85310. We are at the far east end of the Copper Creek campus; enter the main drive, continue past the school to the east parking lot. The mission of the Community Education Department is to deliver high quality, educational, cultural, and recreational enrichment programs and services to our community using aligned resources beyond the school day. Community Education fulfills this mission by providing stakeholders of all ages -- from birth through adult -- with numerous and varied programs and activities including Preschool/Prekindergarten, Before & After School Child Care, Enrichment Classes, Drivers Education, Winter and Spring Break Camps, Summer Camps and Programs, Early Entry Testing, Family Resource Center and Facility/Field Usage. Payment and Registration Clerk for Preschool, Early Entry Testing, and Enrichment Classes.